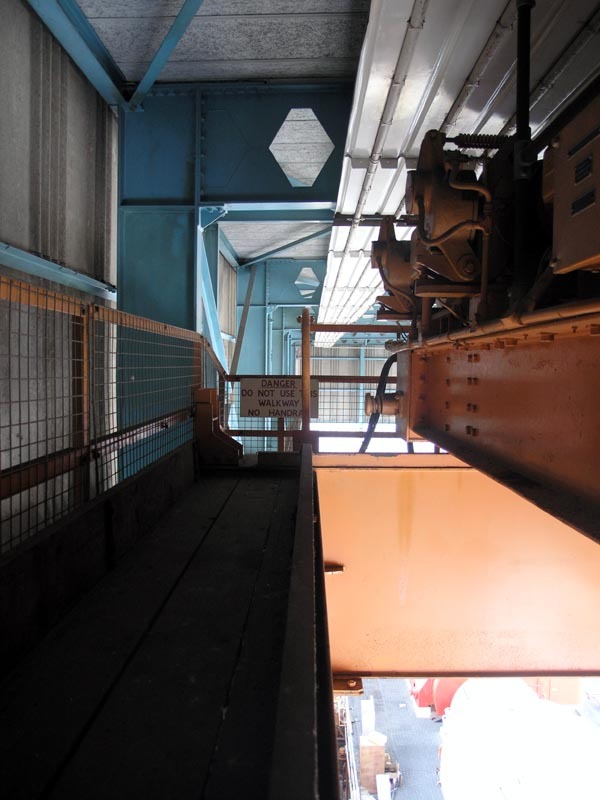 A vertical ladder takes us up onto the crane gantry itself. There are few guard rails here and huge gaps lead to a sheer drop onto the concrete below. We can now touch the roof of the building. Crawl westwards across the crane gantry.